At Precise Medical Solutions, we work with you to create a plan to achieve your weight loss and health improvement goals. Real results are not only possible, they are sustainable with the right plan that is customized to your needs. We will help you speed up your metabolism, curb your hunger, improve your health and increase your energy. Find out more about our patient’s weight loss successes in our Real Results gallary and let’s get started! 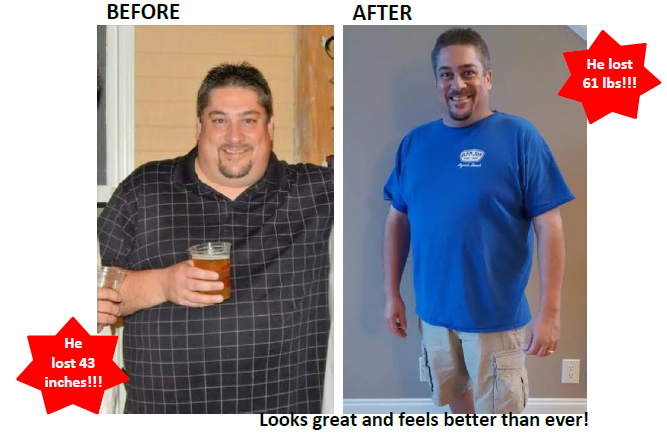 Listen to this patients testomonial below to hear how Precise Medical Solutions helped him with his weight loss journey. He has become apart of our PRECISE family! This patient lost 61 lbs and 43 inches in just 4 months with the help of our HCG Weight Loss Program and Vitamin Injections! And he’s not done!